Matthew Goulet is vice president of sector & ETF investment strategy at Fidelity SelectCo, a division within Fidelity's Asset Management organization that is focused on ETF and sector investing to help meet the evolving needs of investors and advisors with education, tools, resources and products, including mutual funds and exchange traded funds (ETFs). Fidelity Investments is a leading provider of investment management, retirement planning, portfolio guidance, brokerage, benefits outsourcing and other financial products and services to more than 20 million individuals, institutions and financial intermediaries. In this role, Mr. Goulet focuses on educating retail, intermediary, and institutional clients on sector investing and ETF utilization. 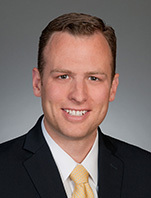 Prior to joining Fidelity in August 2012, Mr. Goulet was vice president and product specialist for the iShares Product & Investment Consulting team at BlackRock. In this capacity, he focused on the iShares lineup of ETFs and was primarily responsible for working with financial advisors and RIAs to help them better understand the structural differences between various ETFs. Previously, Mr. Goulet worked in a number of sales and product roles within State Street Global Advisors' North American Intermediary Business Group. He has been in the investments industry since 2006. Mr. Goulet received his bachelor of business administration degree in finance from the University of Notre Dame. He is also a CFA� charterholder.